What's the state bird of New Jersey? 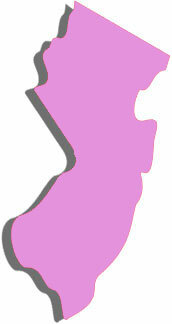 y home state of New Jersey has taken a lot of lumps over the years  from its smell to its citizens' peculiar accents. We've taken it all in stride; some agree with the stereotypes (those who've fled), while others of us would defend this great state with our last breath. We've gotten used to being ignored and ostracized. As a matter of fact, TV news and newspapers of New York and Philadelphia constantly forget we even exist. Then, with just five words, Gov. James McGreevey shoved our state into the sights of a scandal-loving media. When McGreevey stood with his wife and parents at his side and said, "I am a gay American," the shock waves that reverberated from Cape May in the south to Ringwood in the north, rippled out to a waiting nation. For one moment, what was going on in the Garden State was more interesting than Bush or Kerry's questionable ethics during the Vietnam War  and even more interesting than Paris Hilton (but really, isn't everything more interesting than the heiress of the Internet?). Not only did New Jersey supply the country with yet more grist for the humor mill, but it also supplied the nation with its first openly gay governor. McGreevey freely admitted to having had an adulterous homosexual affair. A politician who comes out of the closet and is open about an adulterous affair? If he'd admitted to smoking marijuana regularly, we could have had some sort of political trifecta. Regardless of what the rest of the country may think, Jerseyans are bright people who figured out early that the governor came forward because he was being blackmailed. In malls, bars and everywhere else the Jersey hoi polloi congregated, support for the unpopular governor (who had always remained just on the outskirts of scandal during his administration) seemed unwavering. There are many reasons why the people of the state want McGreevey out of office  but being gay doesn't appear to be one of them. Within a few hours of his speech, news shows had begun reporting that the governor's alleged lover was on the state payroll to the tune of $110,000 a year. The man in question, Golan Cipel, who hails neither from New Jersey nor any other state in the union, was handed the job of homeland security adviser despite having only rudimentary defense experience. Given our post-9/11 sensibilities, this discovery was particularly galling. Cipel claims that: he never had an affair with the governor; he is not gay; that McGreevey sexually harassed him and that he was threatened with deportation. While not deported, the scandal has caused Cipel to flee to his family home in Israel. He has yet to file the harassment suit the governor speculated was forthcoming. Smelling blood in the water, state Republicans (and quite a few Democrats) called for McGreevey to resign immediately and force a special election. That deadline has passed but legal actions are still being filed. So far, the governor is remaining true to his word of not giving up his office until Nov. 15. Since New Jersey does not have a lieutenant governor, State Senate President Richard J. Codey will become acting governor once McGreevey steps down. He will serve out McGreevey's term, which expires in January 2006. Politics in New Jersey has always been like a turf war that leaves its combatants emotionally bruised, financially scarred and morally savaged along with the threat of jail time  a street fight without the class. The McGreevey story offers a new twist to tried and true politics: a politician who is done in by a scandal of his own creation and not by a political rival. So, let the jokes begin  yeah, the state bird is the swallow; the terror alert in the Garden State has been raised to lavender. Heard them all and it doesnt really faze us. New Jersey has an openly gay governor and his sexuality is the least of our concerns. Giving his piece on the side a high-paying job was deplorable, but no more so than sinking billions of dollars (and countless lives) into a dubious war. Scandals are becoming the norm and the McGreevey affair should serve as a lesson to politicians living in fear of negative press. Sometimes constituents will offer surprise support, especially to those who own up to their mistakes and face the consequences. Sticking your head in the sand until it blows over? Fuhgedaboudit! Read more from Stephen in our archives.